Daphne Lei: Ganga! Predicament and Opportunity for Innovating Chinese Opera. Singapore has often been described as the gateway to Southeast Asia, not just on account of its status as an international trading port. And yet the prosperous city-state has not so much been famed as a travel destination in itself than a luxe transit lounge beckoning the visitor unto the more exciting locales and cultures of Bali, Thailand, Malaysia, the Philippines and more. Who and what passes through this gateway, and how? With recent heavy investment in arts infrastructure such as the Esplanade arts complex and the advent of regionally-focused platforms such as the rebooted Singapore Arts Festival and TheatreWorks’ Flying Circus Project, Singapore has increasingly been marketing itself as a broker of the arts in Southeast Asia. Of course, underlying state agenda have ultimately set targets beyond Southeast Asia per se in the deliberate positioning of such curatorial drives on the larger international stage; Singapore’s Southeast Asian-ness is necessarily hinged upon its branding as a global city of the arts and longer-term development plans. How and where do different Southeast Asian artists fit into the changing landscapes? Thai academic Pawit Mahasarinand prefers the word ‘Gatekeeper’ to ‘Gateway’, commenting on the marshalling of specific cultural resources within Southeast Asia made to the tastes of curatorial elites traversing transnational circuits via affluent Singapore. At the same time, the resulting financial boost to local economies is undeniable, even as monetary impacts on communities remain asymmetrical. This panel puts together academics, artists and curators in an investigation of cultural brokerage – drawing on the expertise of the Singaporean-heavy production team of London’s first Southeast Asian Arts Festival. ‘Globalisation’ in Southeast Asia’s performing arts has been an aspirational handle for one-way cultural borrowings and participation in elite platforms of an assumed international ‘West’. However, alternative views have emerged, that present Southeast Asia as a dense, internally-sustained network with its own separate transnational communities. This festival in London sees, for instance, Singapore-born actors interrogate what it means to be twice-diasporic Chinese. Artists of Vietnamese, Thai, Indonesian and Filipino heritage reflect on travel, disorientation and reconnections to former imagined homelands – all far away from the geographic loci of Southeast Asia itself. Certainly, artistic flows are increasngly complex, multiple-way affairs, with parallel debates happening across borders and platforms. But what does it mean to create art that can be called Southeast Asian without compromising on different identities that make artists distinct groups and individuals today? In the words of producer Annie Jael Kwan – must Southeast Asian art only reflect geographically-specific content, or have to ‘look’ Southeast Asian? How have postcolonial politics influenced cultural networks that date to trade and court links of centuries ago? And yet the cultural flows remain asymmetrical, necessarily impacted by the unequal movement of capital and labour around the region and the world: an artist is paid a different fee in Burma than he or she is in Indonesia, Singapore or the U.K., even as he or she makes art to the tastes of international curators who delicately broker these very negotiations. This panel explores art-making across a range of scenarios marked by shifting cultural politics and power relations, and questions what it means to be a Southeast Asian artist. 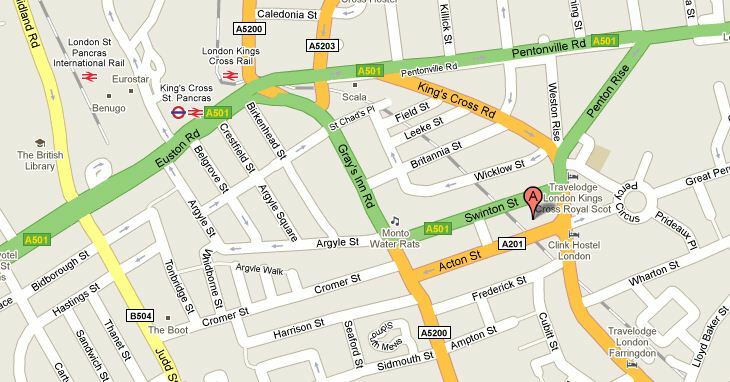 Talks are normally held at the Centre for Creative Collaboration, 16 Acton Street, London WC1X 9NG.